Kat is one seriously bad mama! She has a little bit of angel and devil goin on! This bag is the perfect combination of sweet and spicy! 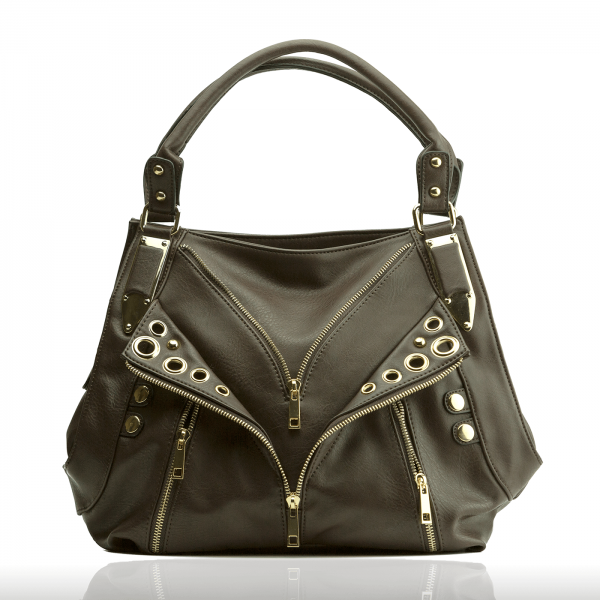 Kat is available in two colors. Brown with gold hardware and slate with silver hardware. Both have their own sense of style and charisma! SKU: N/A. 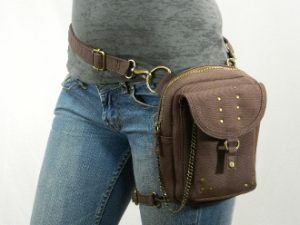 Tags: Black Concealed Carry Purse, Brown Purse, Concealed Carry Purse, Purse. 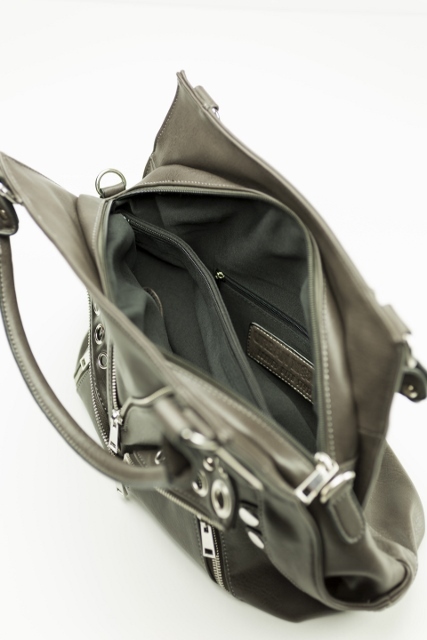 The inside of the bag has a business card and cell phone pocket on the interior of the front side. 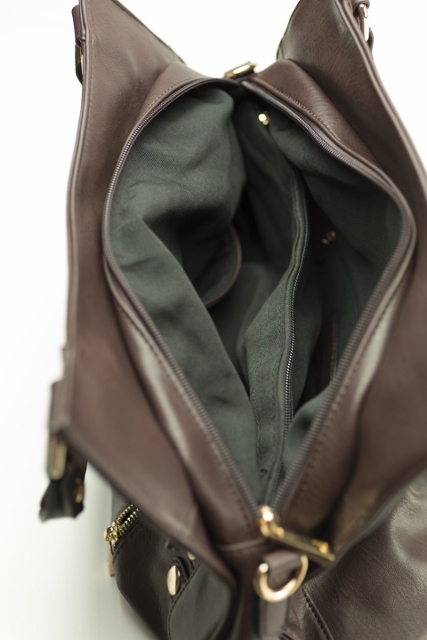 There is a center zipping dividing pocket and on the back of the interior wall there is a zipping makeup pocket. 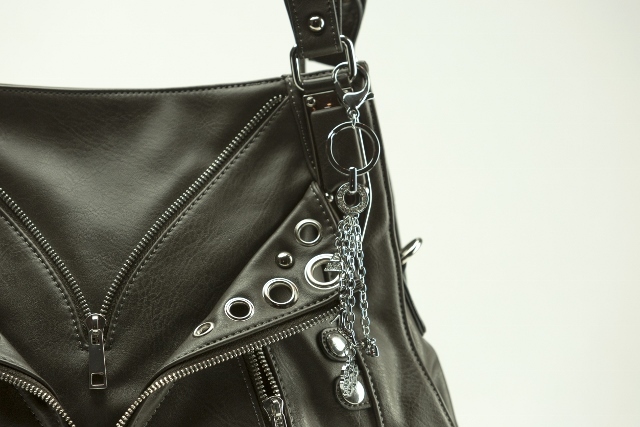 The slate with silver hardware comes adorned with our signature lock it pocket bag charm that makes for easy access into the gun holster. 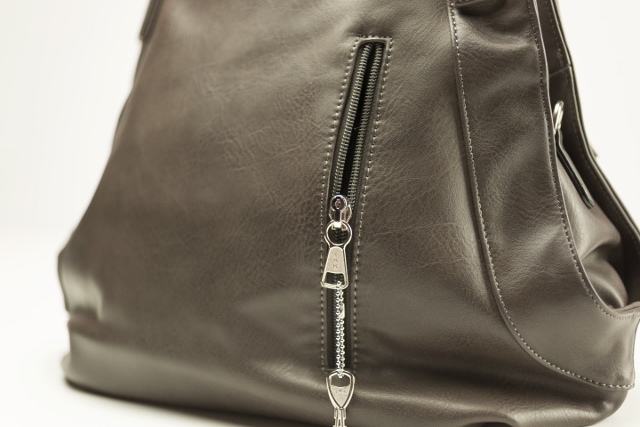 Please note that the brown with gold will not come with a bag charm on the lock it pocket. 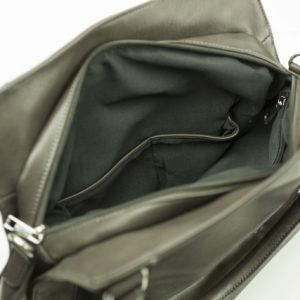 The holster “lock it pocket” has a lockable zipper slider for the times when you feel it is necessary to lock up your firearm. 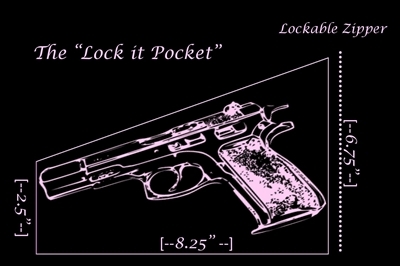 The holster pocket will fit any small to mid sized pistol with a 4″ barrel or less in length. 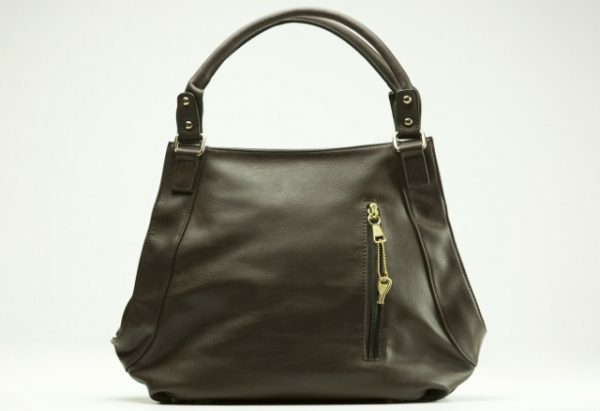 The bag measures 15″ wide 10″ tall with a handle strap drop length of 8.5″. This bag also comes with a long detachable cross body strap. 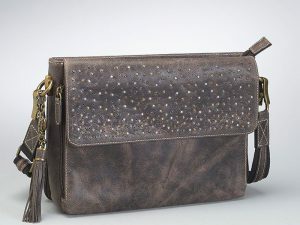 Order your Kat bag today!